Planning a baby shower for a girl is such a joy and can be so exciting! What can be more thrilling then spending some quality time with your close family and friends celebrating your wonderful news?! 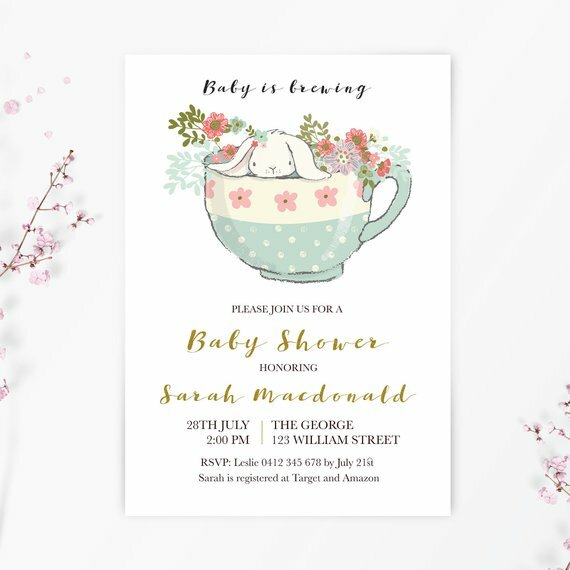 So, to get the celebrations going, once you've settled on your girl baby shower theme, it's time to pick 'the perfect' girl baby shower invitation. 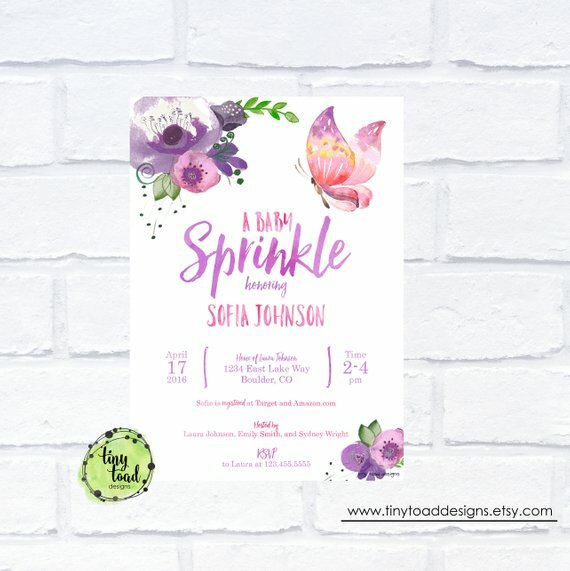 To help you, with what can be a daunting experience, we've looked through as many different baby shower theme invitations we could find, and have picked out the 15 prettiest baby shower invitations for girls. 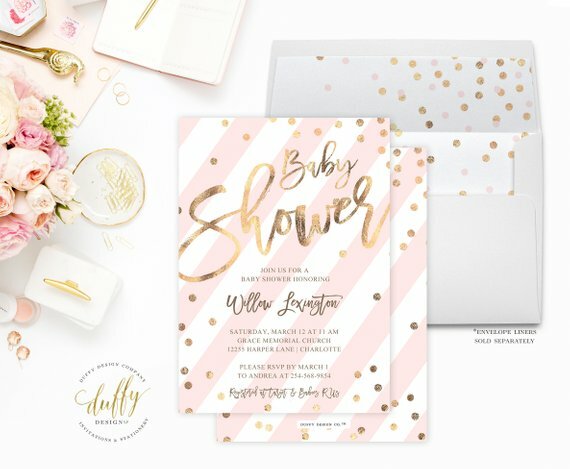 You'll find the most gorgeous invitations for a wide variety of girl baby shower themes such as a floral baby shower, a carousel baby shower, a pink baby shower and so so many more... so, just sit back, relax, scroll down and enjoy. We've got you covered! 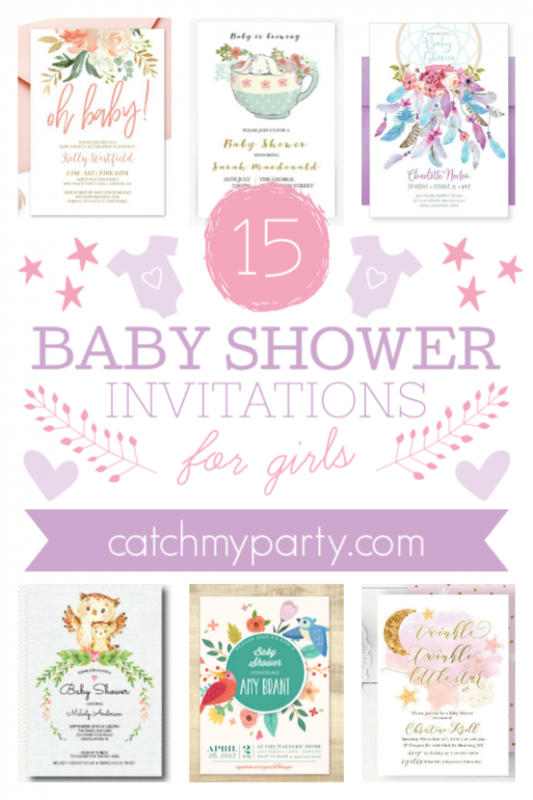 The 15 Prettiest Baby Shower Invitations for Girls! Traditionally a baby shower for a girl is a very pink affair. 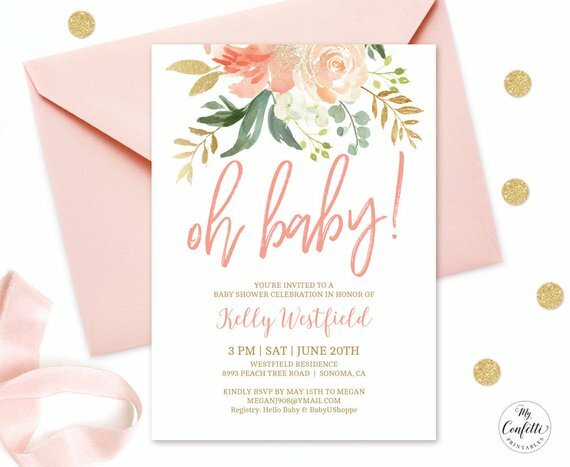 So, to kick off our list of pretty girl baby shower invitations, we've found this stylish pink one that is sure to impress! It just oozes chic, with the slick pink diagonal stripes, and the gold typography and dots. Wonderful! Nothing is more precious than a newborn baby girl, and I'm sure we all agree that she deserves to be treated like the true princess she is. 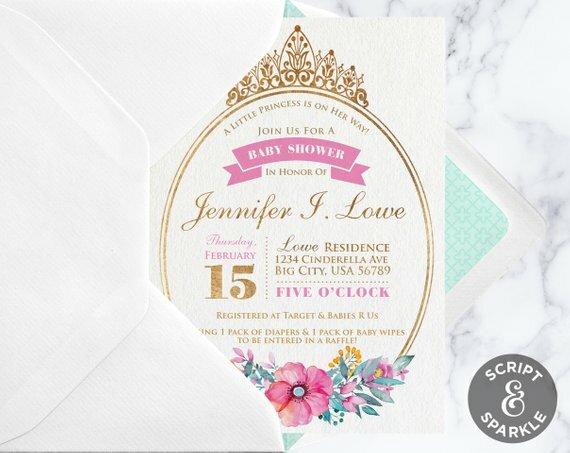 Princess girl baby showers are one of the most popular themes for baby girls on Catch My Party, which is why we instantly fell in love with this elegant princess themed girl baby shower invitation the second it caught our eye! I'm sure you're going to fall in love with it too. If you're more of the floral rustic type, then you've just got to go with a floral girl baby shower. It's such a gorgeous feminine theme and an incredible party decoration. This floral girl baby shower invitation has such a rustic feel and the tones of pink and green are simply stunning. You can't really go wrong! 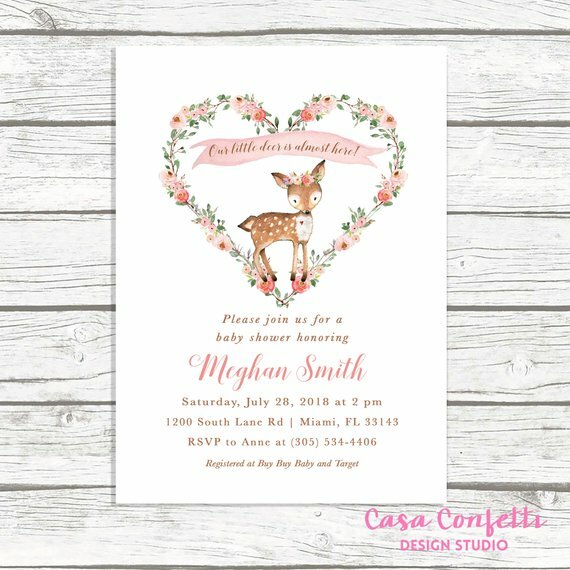 Woodland girl baby showers are just so popular, and are such an adorable theme, that our hearts melted when we spotted this ever so cute girl baby shower invitation. Everything about it is so delicate and girly! If you're anything like us here at Catch My Party and you love your tea, an elegant tea party themed girl baby shower is exactly what will quench your thirst! You can bet your guests hearts will melt once this adorable bunny in a teacup baby shower invitation in their hands. Mermaid parties have been around for what seems like forever and there is no sign that this girl party theme will be leaving us anytime soon. 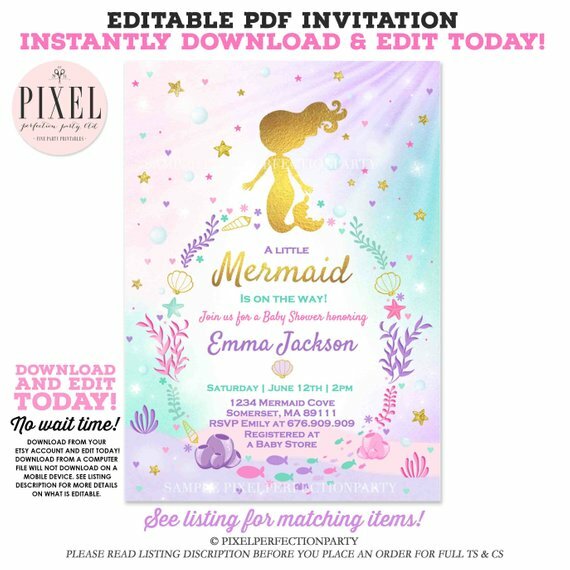 Just one look at this magical under the sea mermaid girl baby shower invitation and your guests will be spellbound and eagerly waiting to join in the fun at your party! 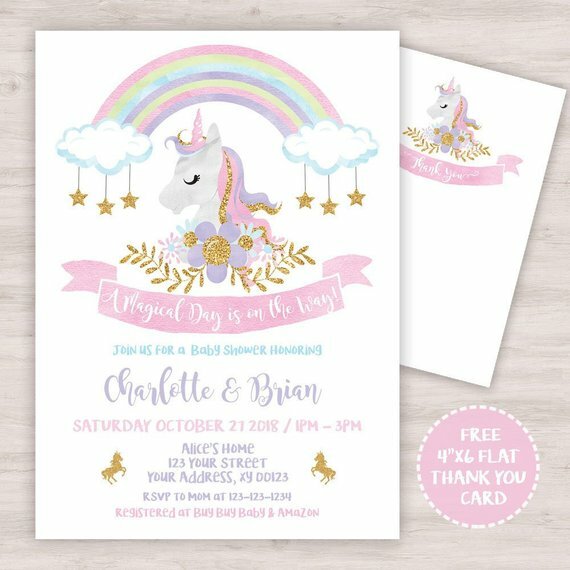 The unicorn trend shows no sign of slowing down and is such magical girl baby shower theme. Who can resist the beautiful pastel colors and wonderful illustrations on this invitation? You've lot to love the pretty gold sparkly stars hanging off the clouds! Carousel parties seem to be popping up everywhere at the moment, and are also a fantastic baby shower theme for a baby girl. They are also great if you want to add a vintage touch to your baby shower. 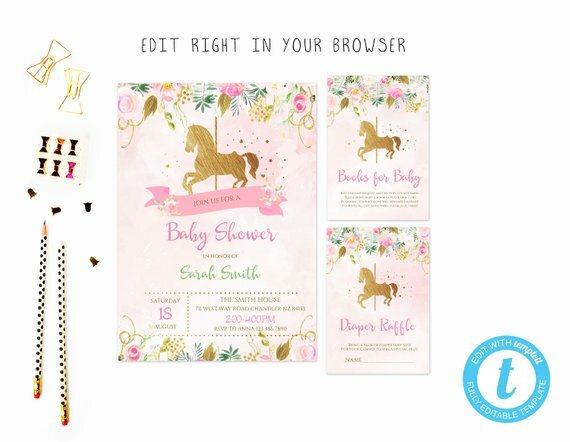 The carousel girl baby shower invitation we've picked out for you is such a delight! If you listen closely, you can almost here the music playing. If you've got your heart set on a ballerina themed girl baby shower, then this invitation is just what you are looking for. 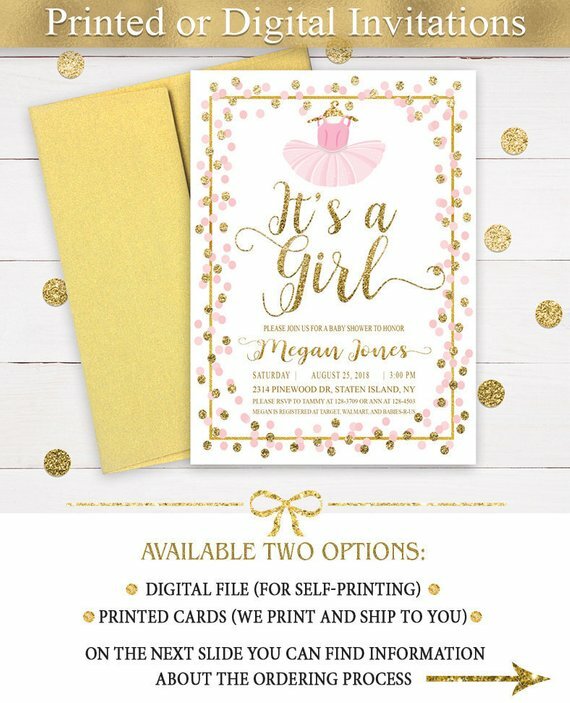 The gold typography is so pretty and the little tutu ballerina dress is absolutely adorable! Boho chic parties are such a wonderful whimsical girl baby shower theme. You can have a gorgeous dreamy party, that is more in tune with nature, but still incredibly pretty and girly. 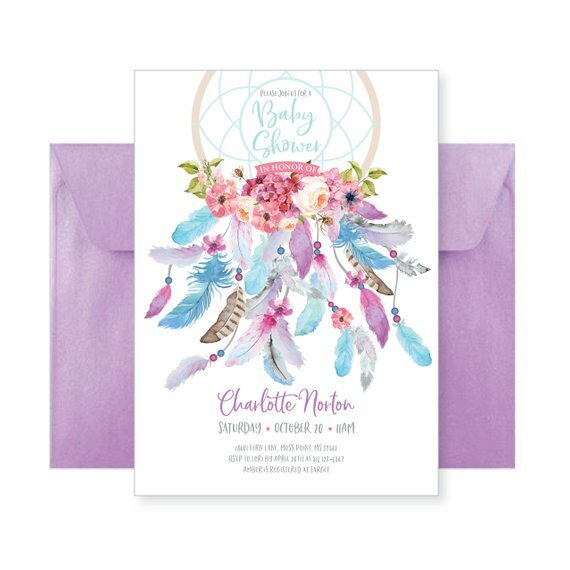 This boho chic girl baby shower invitation, features a beautifully illustrated dreamcatcher that will set the mood for what will be the baby shower of your dreams! If you find yourself stuck for a themed, but busy 'feathering the nest' in preparing for your little baby girl, then how about a a little girl bird themed baby shower?! 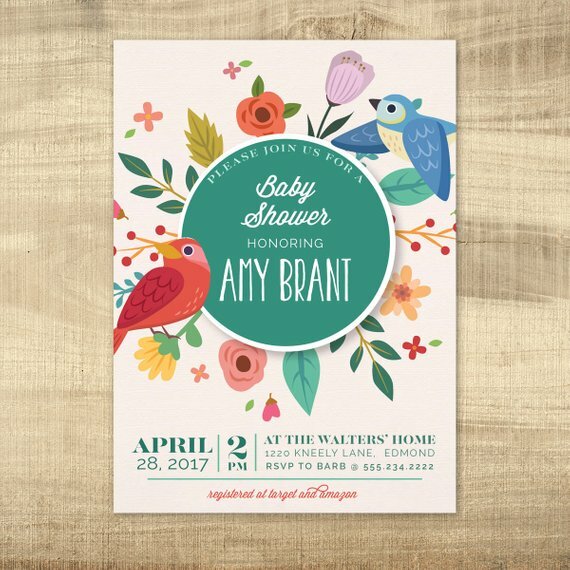 This colorful little girl bird baby shower invitation is such a joy and so beautifully designed. What's not to love about these stunning illustrations? Another enchanting girl baby shower theme is a butterfly one. Butterflies are just so delicate and colorful and are such a wonderful girly party theme. This watercolor illustrated butterfly girl baby shower invitation is amazing! It's so simple, yet so incredible beautiful! It's a great choice if your planning a spring time girl baby shower. An owl themed baby shower is a hoot and perfect if your want a rustic woodland baby shower theme that oozes cuteness! 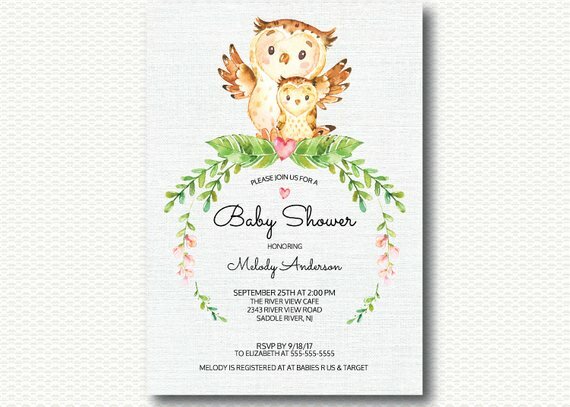 Your guests hearts will melt as soon as they set eyes on this adorable owl baby shower invitation! Everyone know the nursery rhyme "Twinkle Twinkle Little Star," so how about using is as the theme for your little star's baby shower? 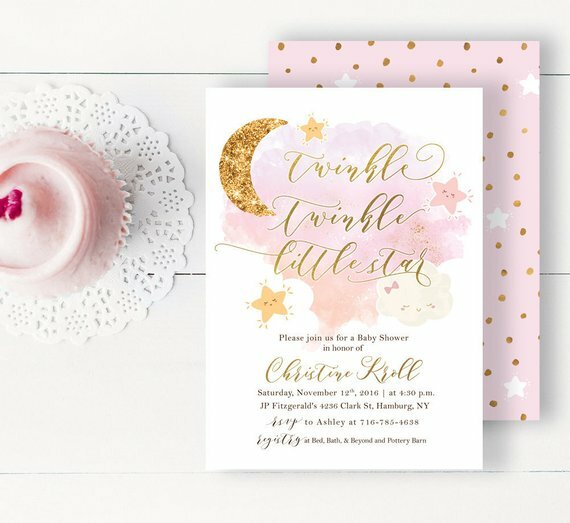 The pink watercolor illustrations on this 'Twinkle Twinkle Little Star' girl baby shower invitation are adorable. What a perfect way to set the mood for a magical baby shower! To finish off our list of pretty baby shower invitations for girls we just had to go with the always popular elephant themed girl baby shower! 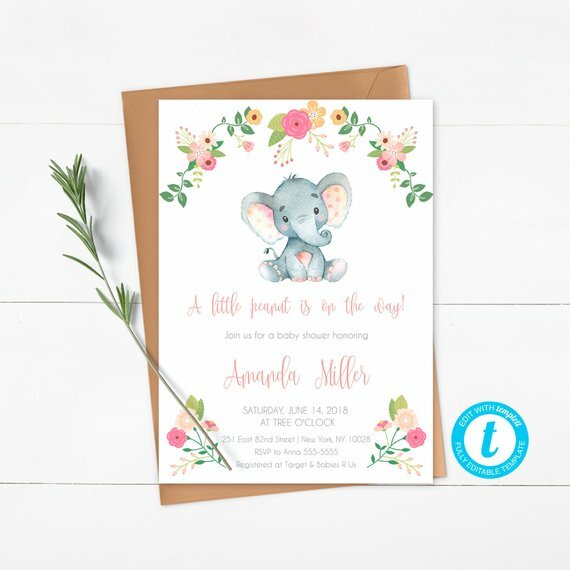 Just one look into the eyes of the cutie baby elephant illustrated in the invitation and your guests will be counting down to what will be the most adorable girl baby shower ever!